The All in One SEO plugin is a great way to optimize your website’s search engine results as it is easy to install and use. In this tutorial, we will show you the process of installing and configuring the plugin as well as go into detail about the capabilities at your disposal. The first think you will want to do is to login into the admin dashboard of your WordPress website and navigate to the Plugins>Add New option. 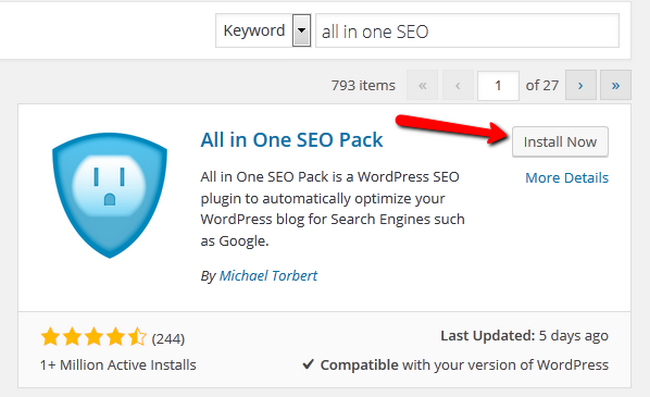 In the search bar type “all in one SEO” and after that click on the Install Now button. You will see the installation log showing the installation has been completed and then you will need to click on the Activate Plugin link. 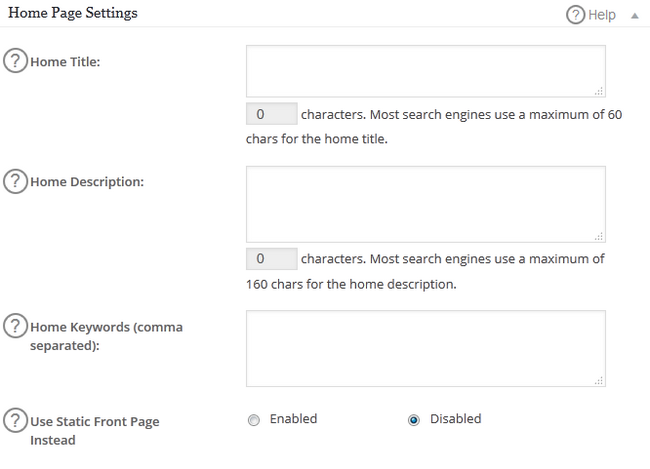 To configure the settings of the newly installed plugin, you will need to click on the All in One SEO>General Settings option. 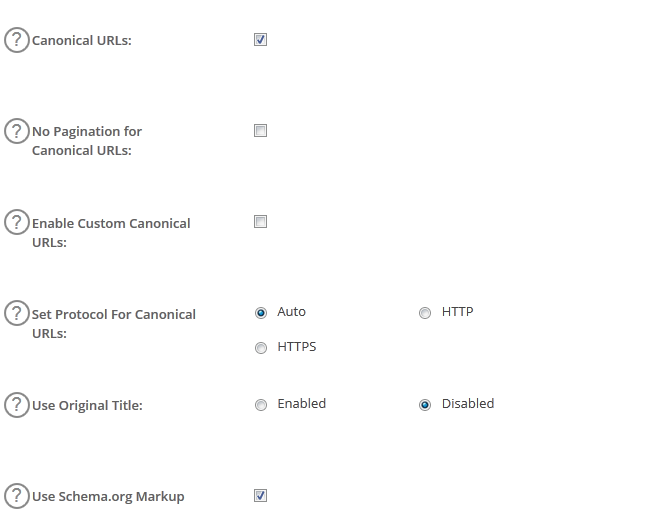 Enable Advanced Options – Enabling the Advanced Options will add a new field to this section called Custom titles which you can check to manually configure the format for the Title tags for each of your Custom Post. The Noindex settings can be very useful when you wish to restrict search engines from indexing content or following links on your website that lead to other websites. The NOODP option is available if you wish search engines to not use titles and descriptions about your site from the Open Directory Project. If you want to do the same thing regarding the Yahoo Directory, use the NOYDIR option. 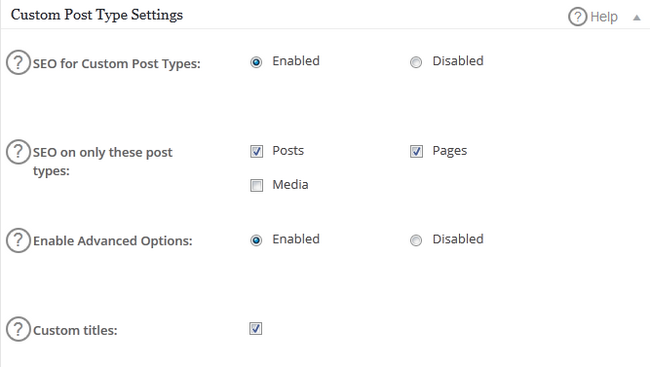 All of the options here can be overwridden for each specific post, pages, categories and tags. Never Shorten Long Descriptions – If you wish to have descriptions longer than 160 characters enable this option. 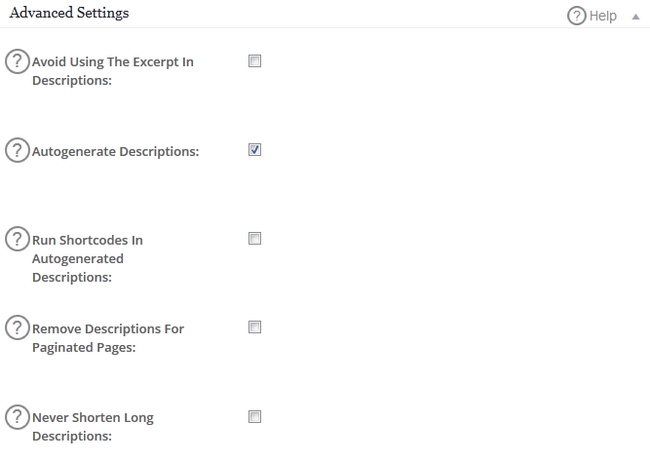 Exclude Pages – If you want to exclude some pages from outputting meta information, you can list them here. Congratulations, now you know how to use the All in One SEO plugin and its full potential to better your website’s search engine results.